Immersive experience stores are the new street art to the Instagram community, providing the perfect backdrop for #OOTDs and numerous content opportunities. 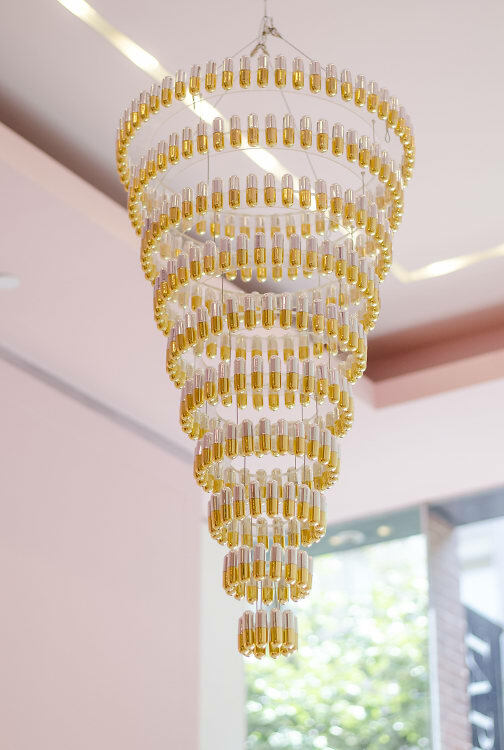 But different from the rest is Winky Lux‘s new immersive pop-up, shaking up the regular retail model and giving beauty-lovers what we never knew we needed. Click through for your first look! 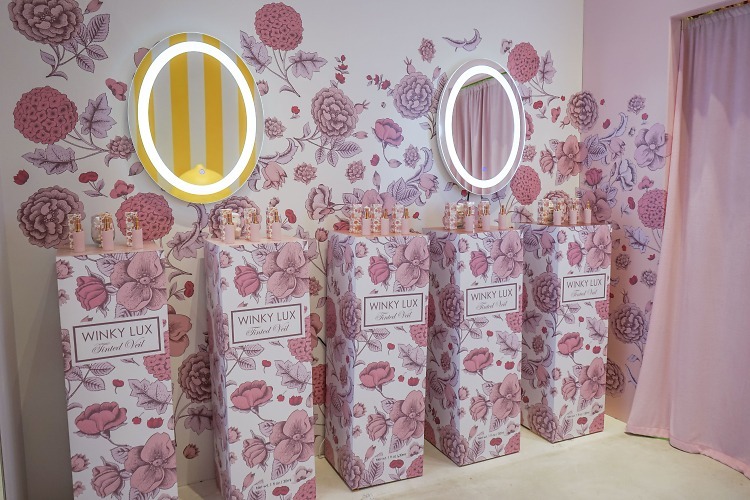 Winky Lux’s first ever Immersive Experience Pop Up opens to the public on August 8th , allowing customers to come and live out their wildest beauty dreams. The space, which is business in the front party in the back, features a retail store upon entry and sensory-driven themed rooms in the back of the store. The retail space showcases all the fun products Winky Lux has to offer. Flower Balm, Dream Gelee, Kitten Palette and more, as well as products by like-minded brands such as Tuleste. The front of the space encourages customers to try out and the products, with mirrors scattered throughout. Snap a pic, it’s encouraged! After browsing the beauty must-haves, make your way towards the back and that’s when the real fun begins. As you wait you are briefed about what you’re about to experience, given a run-down of the rules, and are enthusiastically advised to take photos, I mean, #ItsaWinkyWorld, so why not? You are ushered through seven rooms, four guests at a time, by self-proclaimed ‘spirit guides’, and boy do they live up to their names. They’re there to help you with any questions about the products, and, of course, to play photographer. How perfect? 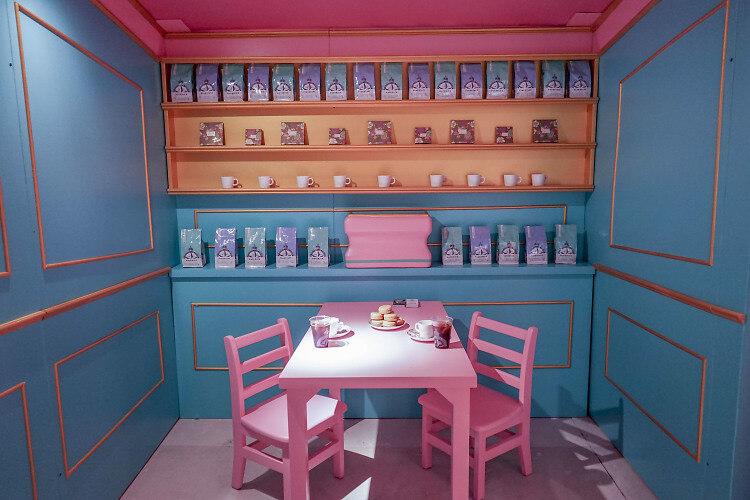 The rooms range from an Alice in Wonderland-styled floral garden (I highly encourage a Boomerang here, opening and closing the grass-covered door to the next room – so ethereal! ), a miniature scaled coffee shop, a matcha zen garden equipped with a life-sized rake and sandbox, a ‘nap room’ with a wall decal basically saying my life’s mantra, ‘Namastay in Bed’-give the pillows a good squeeze, you’ll be in for a surprise. Each room is themed for a product, guests are encouraged to give those a try too, and maybe discover a new favorite! 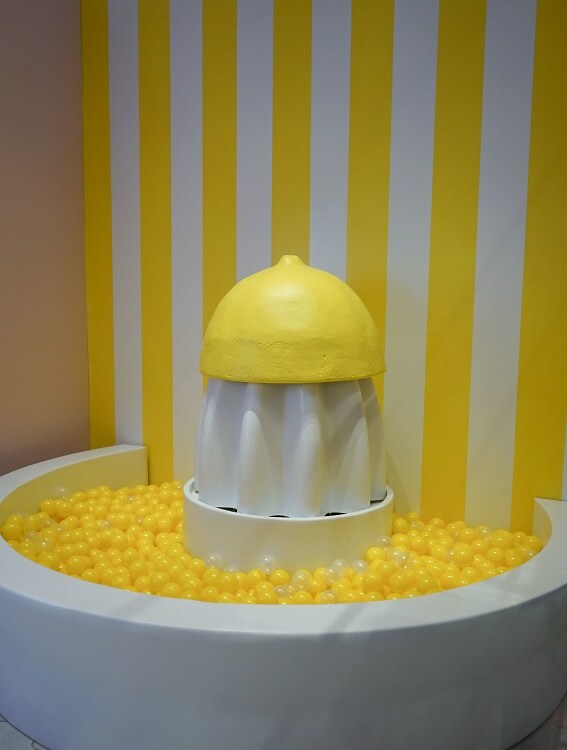 As you leave, you’re greeted by a larger than life lemon squeeze ball pit – feel free to give it a spin and hop on in for another Insta-worthy moment, while “Lemon” by Rihanna and Pharrell plays in your mind. By the end of the experience, you’ll have some new favorite beauty products along with a stash of ‘grams. Be sure to grab your tickets HERE!